GMA Factor has been helping the trucking and transportation freight industry with low rates – 100% cash advance rate with no reserves!! We have some of the lowest rates in the industry and we will not be beat by competitors. 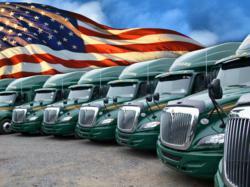 Successful trucking companies rely on dependable cash flow. You need your invoices paid right away for fuel, trucking maintenance, repairs, and insurance. You deliver the load, we provide the cash. Freight factoring provides similar benefits to getting a quick pay without actually requiring your customers to pay any sooner. Basically, a factoring company offers funding to your transportation company using your freight bills as collateral. Your company gets immediate access to funding while the factoring company holds the freight bill and waits until payment. The transaction concludes and settles once your customers pay their freight bills. 100% cash advance with no reserves!! You sell your Bill of Landing (BOL) for cash. Same day Funding! Your cash is directly deposited into your bank account the day we receive your BOL. Our Management Team has over 30 years of experience in the global finance arena. Our focus is on superior customer service while we give growing businesses an alternative to conventional bank financing.